Following the sighting of my second ever ringed Little Owl out in the field (see previous post) I wanted to investigate things further to see if I could determine exactly where and when this owl had come from? What I needed to do was go back and spend more time at the site where I saw her and if possible read the seven digit number on the ring. If those numbers could be sought then they could be crossed reference with the ringing records from the two previous years and hopefully it would prove she WAS one of my owls. Anyway, this morning I was processing some more images of the owl in question (below) that clearly shows the ring on her right leg. Hang on a minute, if I zoomed right into the ring could I tell what the numbers where? This image (below) is a very heavy cropped portion from the above image. Not good quality but the most important factor is four of the digits can be read........X624. I then painstaking searched through a load more images and zoomed into the ring to see if any more of the required seven numbers could be read, and on this next image they could! The ring had turned around just enough to make out the numbers 2412. So now I had the sequence of numbers......X62412, a few text messages were pinged off to Andy Smith and he came back to confirm.......Ring Number EX62412 was attached by him to a Little Owl (1 of 2) on 6/6/2011 at my Little Owl site No 68 near to the village of Peatling Parva. Brilliant news, the mystery had been solved! So I can now confirm that the hen owl (top image) who now resides at my site No 127 was one of two juveniles ringed on that day at site No 68. 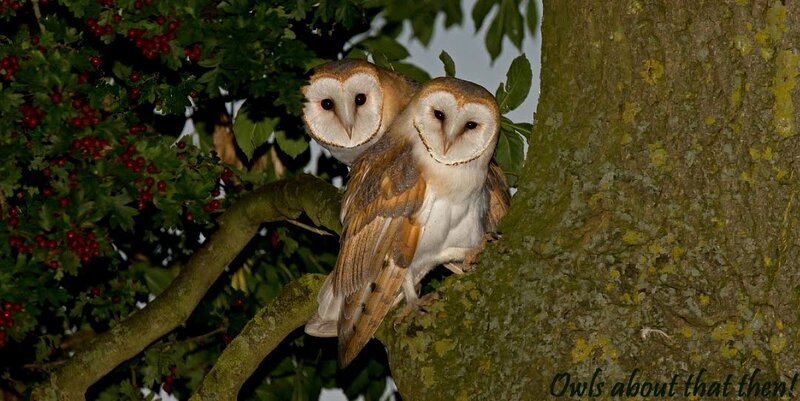 She had moved 1.5 km from her natal site to pair up with what must have been at the time a solitary male owl. I then went back through my archives and found some images that I took whilst ringing at that site on that very day, see below. 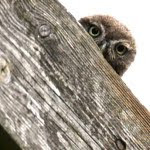 Now the problem I had was which one of the two juvenile owls that we rung is our owl? Hang on wait a minute, I can just make out the ring and some of the numbers in this image, mmmmm I wonder if I took a closer look could I make out the digits? And what this last image concludes is just which one of the two juveniles it is, the last three digets can be made out, 412........yes its her!!!!! I hope you enjoyed reading this last post as much as I did doing the investigational work??? That's bloody brilliant Paul! and a great testament to the quality of your images. Well done!! Top notch Paul great work. Seen a Little Owl today my first for a couple of years in N Yorks, what's the likely distance of its nest? Hi Mike, a nice sighting! I would say if the territory is anything like the ones here in Leicestershire it should be within a maximum of a hundred yards or so?